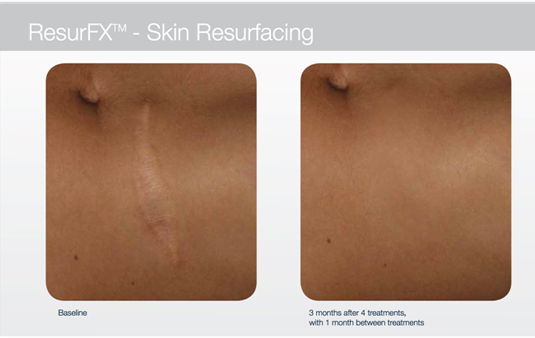 ResurFX uses a 1565 nm fiber laser and advanced scanner to resurface damaged skin on the face, neck , chest and and other areas. 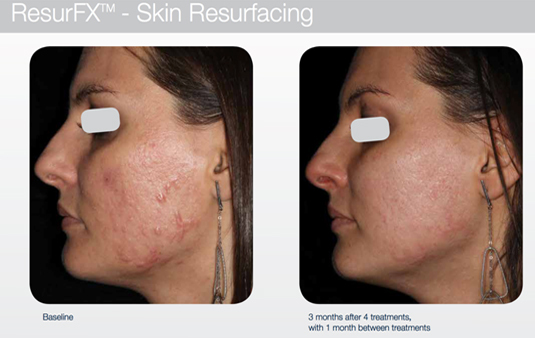 Unlike fully ablative resurfacing laser resurfacing ResurFX is a simple and quick office based treatment. There is little “downtime” after treatment with typically only 1-2 days of mild redness. This is dependent on the condition being treated. Typically 3-6 treatments are required to maximum results. 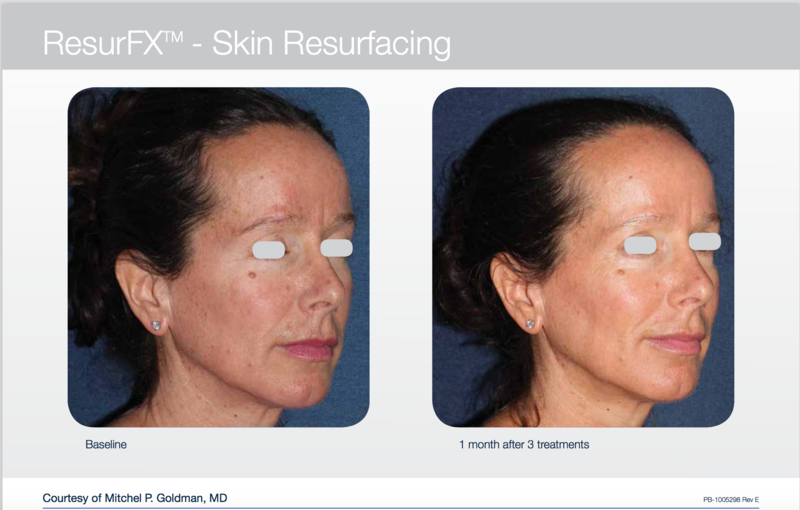 Photofractional rejuvenation often refers to using combined IPL and ResurFX machines. This combination targets the features of photoageing ie brown pigmentation, surface vascular changes and wrinkles with surface textural change.